The eighth Digital Mission was the first to Washington, DC and the first to take along a Mission Observer through the newly launched Digital Mission Observer Programme. What is the Digital Mission Observer Programme? Previously, Digital Missions have been restricted to UK-based SMEs (using the EU definition of <250 staff, <€50m turnover). We have created the Digital Mission Observer Programme so that there are more opportunities available to participate and benefit from the trips. The Observer Programme has been designed specifically to offer opportunities for large corporates, government departments and academics to benefit from the missions, including: access to Digital Mission activities planned during the trip and invites to the Digital Mission pre-mission briefing in the UK & post-mission networking. Why Join a Digital Mission as an Observer? The key difference between joining a mission as a full member and as a Mission Observer is that observers won’t be included in pitching events or publicised as an attending company. Which Future Digital Missions Can I Join? Our aim is to put together a series of Digital Missions that build on previous trips and extend the opportunities for UK firms in new markets. Check out the Digital Mission page to see all of our up and coming missions. 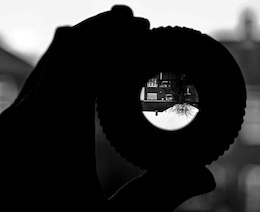 Mission Observers will be welcome to join all missions, however you may feel one is better suited to your focus and aims. To have a chat about which Digital Mission would suit you best as an Observer, give us a call on +44 7480 137465. How Do I Apply to be an Observer? The aim of the Digital Mission series is to support SMEs in developing their overseas business, through a subsidised week-long programme that turbocharges their efforts. Observers participating in the programme will be asked to cover the cost of their place on the trip and are also asked to contribute towards costs to support our aim of providing a subsidised service to SMEs joining the Digital Mission. This will reflect actual costs of organisation and the size of the company. Observers are responsible for their own travel and accommodation arrangements and fees, although we do work with a specialist travel agent to provide a discounted flight/hotel packages. Can I Host an Event/Sponsor? Digital Missions are only possible with financial support from sponsors, which enables high quality events whilst keeping the trip cost effective for the fast-growing organisations attending, a number of options are available, please get in touch for further information. If you want to chat through the Digital Mission Observer Programme, or just Digital Missions in general, please do drop usmission chinwag [dot] com ( a line). We're more then happy to help.